Give your décor the red carpet treatment, by introducing a splash of the shade to your interior. 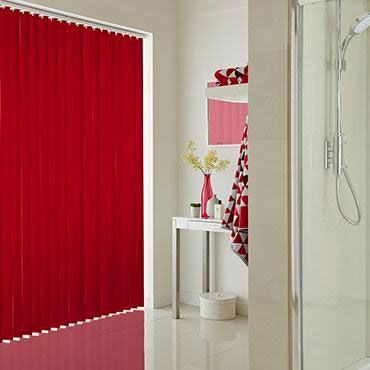 Red Vertical blinds are a fantastic way to add a pop of colour to a room and the clever style provides complete control over light and privacy too. The beauty of red tones is that they can be used to create a variety of different looks. Sizzling scarlet hues have a romantic appeal which is perfect for intimate settings, while burgundies and rich red Vertical blinds have a cosy appearance. For a contemporary twist, pick a red with a hint of pink or orange. Cherry shades have a lovely feminine feel, while vermillion is wonderfully refreshing. At your no-obligation appointment, your Hillarys advisor will bring samples of our range for you to browse in the comfort of your home. Once you’ve found your favourite fabric, we’ll do all the hard work for you. 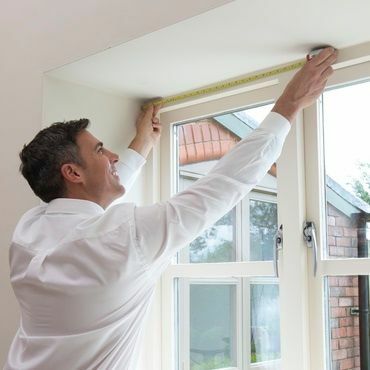 Your advisor will measure up, taking into account any special features - such as bay or sloping windows - then return to fit your Verticals blinds at a time that’s convenient for you.